At the same time, on the advice of someone I respect, I picked up a novel aimed at young teens which dealt with a boy overcoming an abusive home. 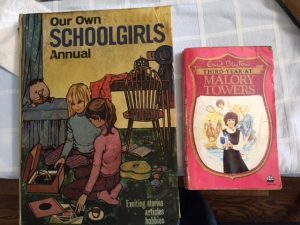 You may remember that I recently wrote a book review recommending a historical fiction book for even slightly younger children that shared a similar premise. While I saw how engaging this second book was, it troubled me. There is something wrong in presenting a dysfunctional view of family and society as the norm even if the underlying message is that tribulation can be overcome. When popular literature and entertainment repeatedly emphasize a theme, much more than just the intended message can get absorbed. It was a brilliant idea. I would introduce prepositional phrases to my children through a visit to the playground. They would have a great time going up the ladder, down the slide, through the tunnel and around the trees. Just about everything they did could be utilized for a fun and memorable grammar lesson. Or at least, that was the plan. The outing steadily deteriorated via one bee sting, one bleeding knee and multiple squabbles. Another brilliant homeschooling idea hit the dust. It is ever so much easier to be a wonderful parent before you have children, an inspiring teacher before you have students and an effective politician when you are a candidate, before you have responsibility and authority. 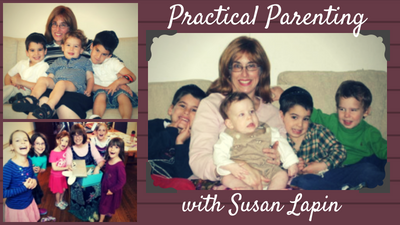 As part of the Practical Parenting column, I am re-running Susan’s Musings that had to do with parents and children. The “Little Yosef” of this column is now a fifteen-year-old young man who spent the last two weeks hauling water-sodden loads out of our flooded basement. Little Yosef, age 6, is busy writing stories about fending off wolves and building log cabins. The Little House on the Prairie series and other books depicting the same period have stimulated his imagination. His mother tells me that he is particularly taken with the idea that children not that much older than he is now might be left alone to do a daunting job and expected to cope with all contingencies that arose. While I don’t believe his parents are even close to handing him a rifle and instructing him to protect the homestead, Yosef’s fascination with the concept of responsibility is a positive one. As the eldest of four children, he already has been initiated into the club of those who know that what they do matters to the family. If anything his mother, as an eldest sibling herself, is sensitive to not putting too great a load on his young shoulders. On my husband’s live chat podcast a while back, one listener asked for homeschool resources. My husband suggested that he ask me by writing in an Ask the Rabbi question on the topic, which he (and others) did. Rather than list resources in an Ask the Rabbi answer, I thought I might try something different. I plan to write one or more short pieces each week and post them in this “Practical Parenting” column. While I am going to start by discussing some homeschooling ideas and resources, I hope to expand beyond that. Along the way, I will look through past Musings that had to do with children and add them to this page. Please let me know what you think of this new page and how it can best serve you. You can reach me via admin@rabbidaniellapin.com. Our basement, like so many others in the Atlantic region, flooded during this week’s torrential rains. We are fortunate. Our damage was largely luggage, clothing, tools and other replaceable items. We stored very few pictures downstairs and after running the washing machine non-stop for a few days, clothing has been retrieved. Since—surprise, surprise—the flooding is not covered by our insurance, the flooding is going to be expensive in terms of replacement cost and the time it will take to clean up, but we are grateful it was not worse. The biggest loss has been books. We are enormous fans of used bookstore. We don’t seek the latest best-seller at a discount. Instead, we search out old books, those that you can’t find anymore. Books that beam out wholesomeness and innocence. Books about healthy families and friendships with a noticeable absence of perversion and profanity. One sad victim of our flooding was a box labelled, “Teenage girl books,” that was waiting for our granddaughters to get a bit older. In her letter, our viewer said, “Susan, my animals are my family. They’re all I have. I think the old “walk a mile in my shoes” before you are so critical. My pets are there when I go to bed and when I get up in the morning. I know I’m not their Mother but they are probably the closest living thing to me.” She is making a perfectly valid point and I imagine that my words cut her, for which I am sorry. Yet, I don’t think I can leave it with just an apology. One of the dilemmas for society is how to deal with unique individuals and their specific circumstances while at the same time maintaining public policies and social norms. At one and the same time, we want to be accepting and helpful to all, but in doing so we run the risk of normalizing things that we don’t want to encourage.